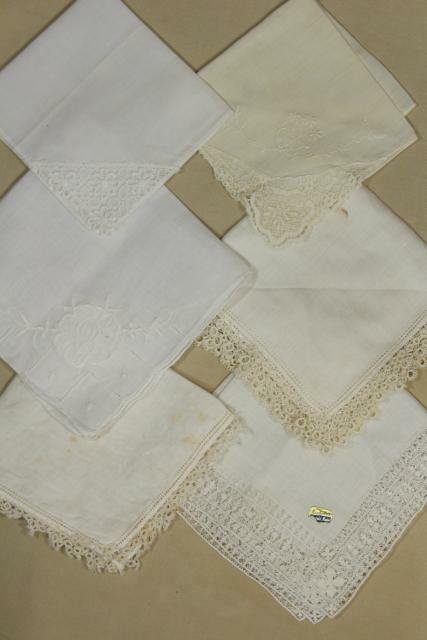 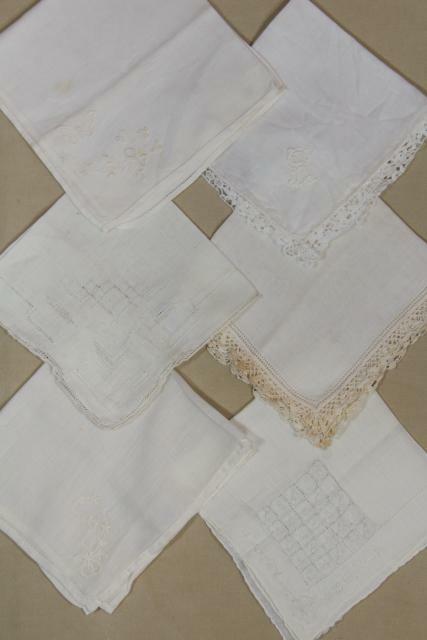 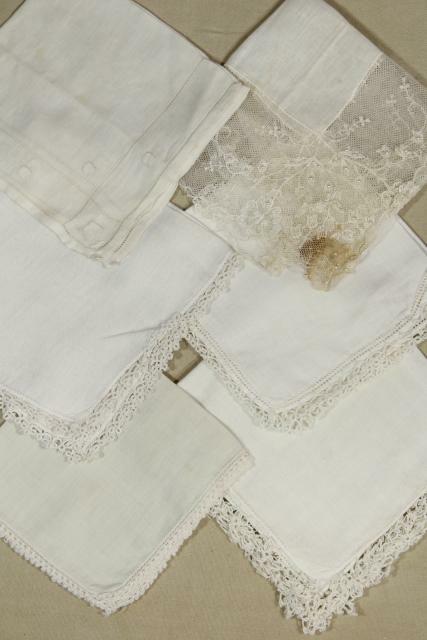 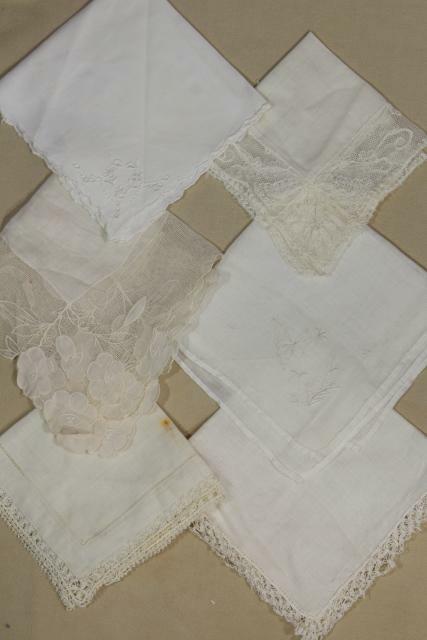 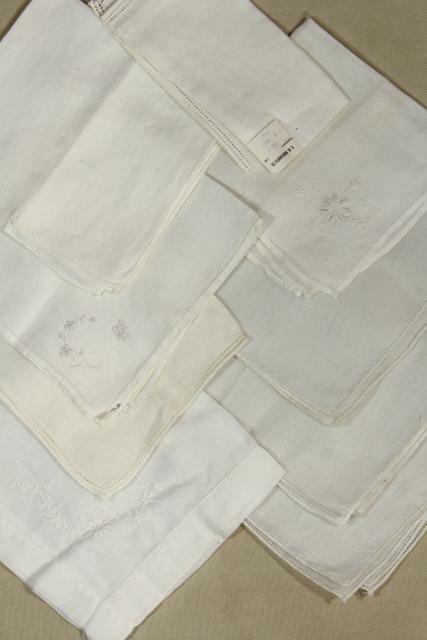 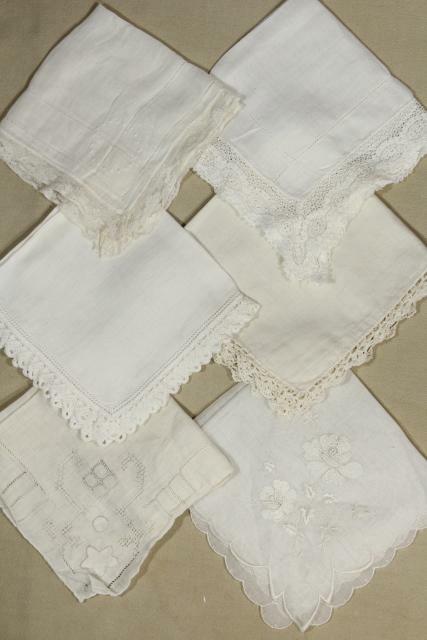 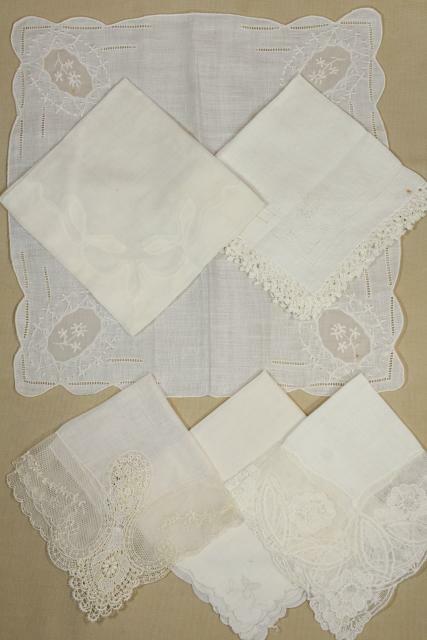 Lot of 50+ vintage hankies, some cotton, some linen, some with handmade crochet lace or fine laces, some with detailed embroidery and applique work, Swiss and Madeira. 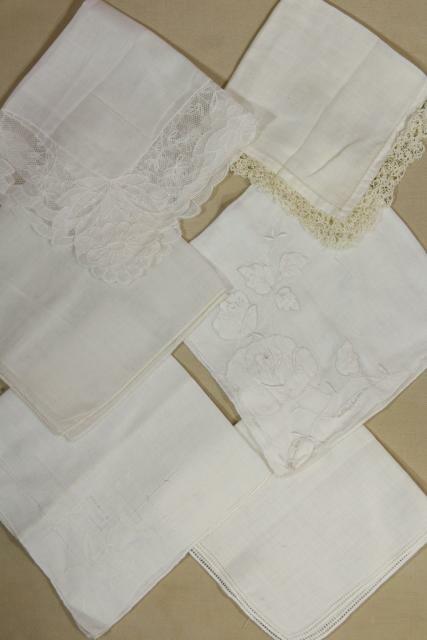 All white. 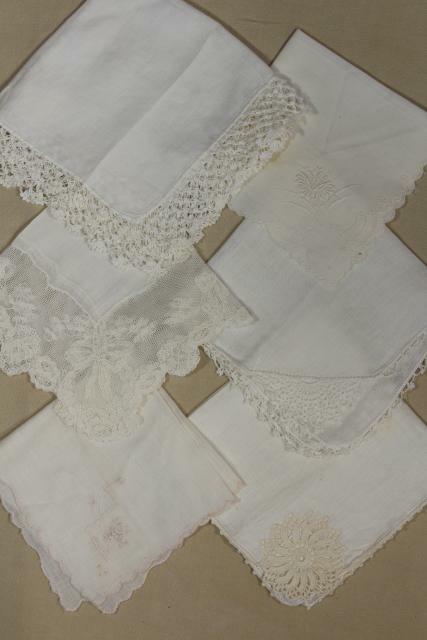 A couple of these have damage from use (wear, or spots and / or holes), some have spots from storage, even if they don't appear to have been used. 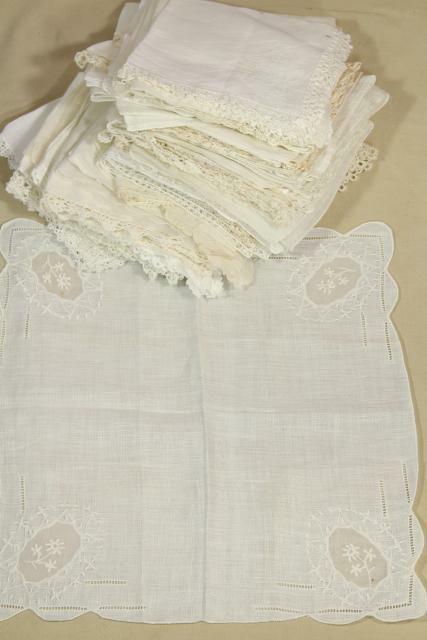 Not mint, but in very good condition overall, and so pretty!